Two people were injured Tuesday night, one with serious injuries, after a two-vehicle crash on Highway 30 near Millard Road that caused the roadway to be closed for two hours. 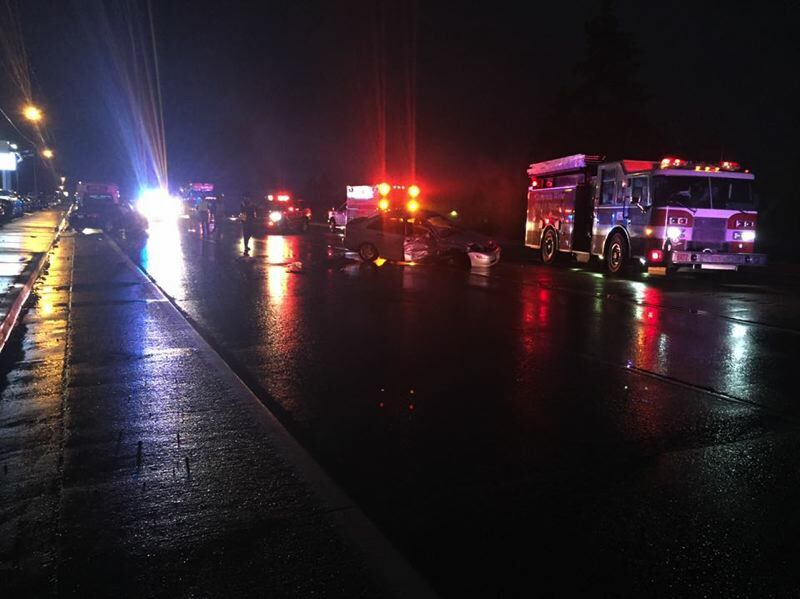 Carol M. Langley, 57, of Warren, suffered serious injuries after being involved in the crash, while the driver of the other vehicle, Taylor Muir, 25, of Scappoose, suffered minor injuries. The crash happened just after 5 p.m. on Tuesday, Nov. 7. Preliminary information from Oregon State Police indicates Langley was driving a silver Ford Focus in the westbound lanes of Highway 30, when the vehicle nearly collided with a semi-truck that was parked in the center continuous turn lane in front of St. Helens Auto Center. Langley then attempted to make a U-turn on the highway in front of Muir's vehicle, a black Chevy Cruze, when the vehicles collided. Langley was not wearing a seatbelt and was ejected from her vehicle. OSP deputies said the crash is still under investigation due to initial conflicting stories about what happened. Just prior to the crash, Columbia 911 Communications received a driving complaint about Langley's vehicle swerving on the road, according to OSP call log information. Alcohol is being considered as a contributing factor in the crash. Columbia River Fire and Rescue transported Langley to the hospital for treatment of serious injuries and transported Muir for treatment of minor injuries. Neither vehicle had any passengers. The highway was closed for a couple hours following the crash. Two chief officers, nine firefighters, and three ambulances and one fire engine from Columbia River Fire and Rescue responded to the crash.